We’ve achieved 40 straight quarters of double-digit growth — 10 years of extraordinarily strong momentum. Total bookings growth increased throughout 2017, with double-digit growth in every quarter. 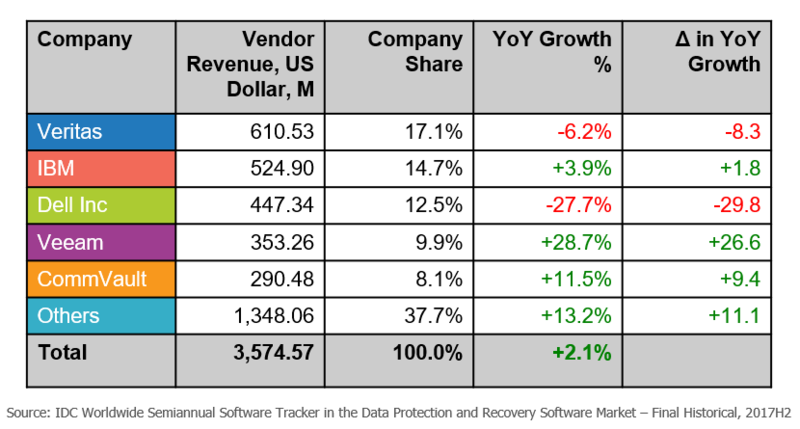 Recently IDC published its software market results for 2017*, and once again, Veeam leads the pack in the data protection and recovery software market. Veeam's revenue grew 28.7% year over year in the second half of 2017, 26.6 points faster than the overall DP&R software market. 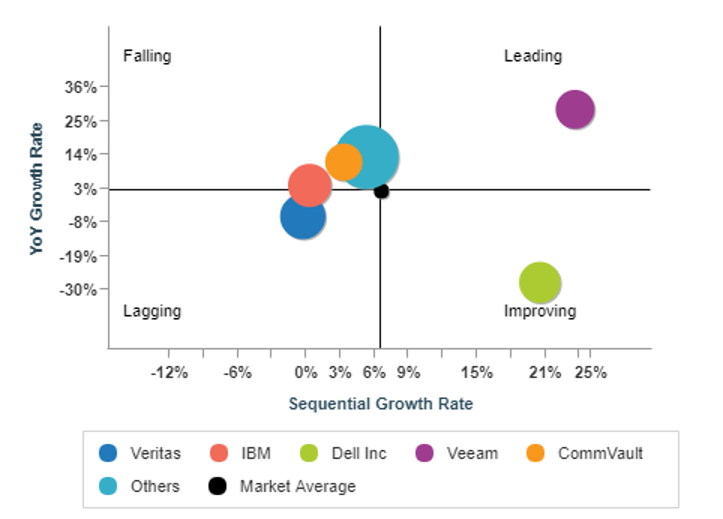 IDC shows that in the last half of 2017, while the overall market grew just over 2%, the top three vendors each failed to achieve even this small amount of growth while Veeam grew its revenue 26 points faster than the market as a whole. With this growth and success comes a sense of responsibility on our part to help customers see the future and prepare for the change and transformation that is coming. Built for the Virtual World – Veeam was founded in 2006 to provide systems management solutions for virtualized infrastructures. Veeam quickly became synonymous with data Availability, emerging as the go-to provider for solutions supporting applications and data in cloud-spanning environments. Born in the era of the cloud and built in the era of the cloud. Partner First Philosophy – In today’s world of rapidly evolving technologies, no company is able to go it alone. Success comes from building and participating in robust technology eco-systems. It is our primary focus to approach every challenge with partnerships, from working with thousands of channel partners, to building deep integration and collaboration with the largest technology vendors in our space.